The CWD Recover Abandoned Cart plugin works in the background, sending email notifications to your guests customers and logged-in customers, reminding them about their abandoned orders. After activating the plugin then click the "Woo CWD cart" menu then you will see the following picture. To click the cart tab then see the abandoned cart details. 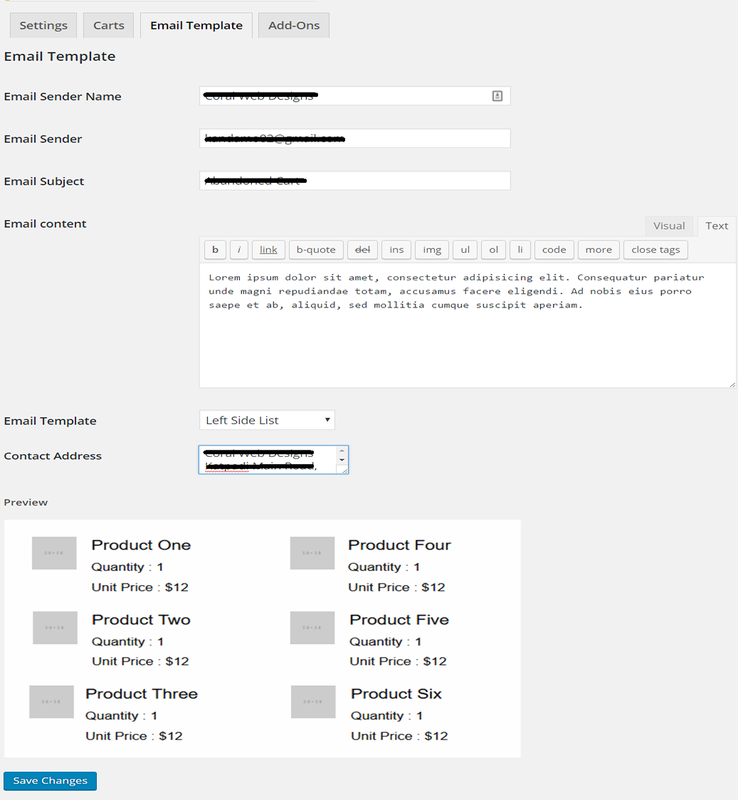 The Email Template tab contain the email settings and template format for customer notification. 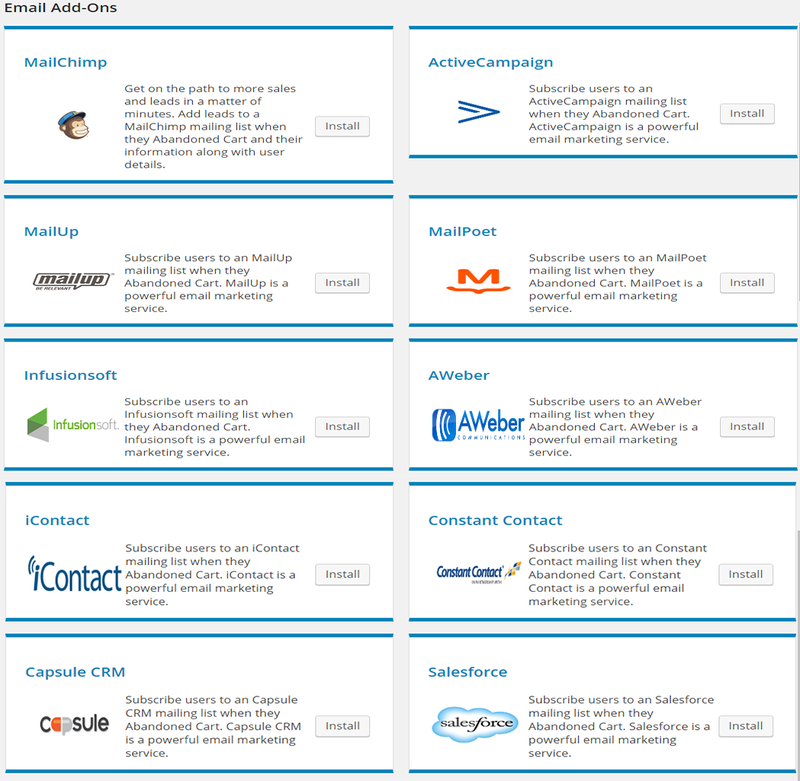 The Add-ons tab contain the different mail marketing apps to sync the customer details and store the details in synced add-ons.